The weekend of 14th and 15th July was the 49th Annual Camellia Research Society’s exhibition at Ravenswood Girls School Gordon. We again were honoured to be invited to exhibit arrangements for the public to enjoy. Three Japanese ladies, guests from Japan plus fifteen ASTA members all created amazing arrangements. One of the ASTA members exhibited for the first time ever, congratulations on her effort. 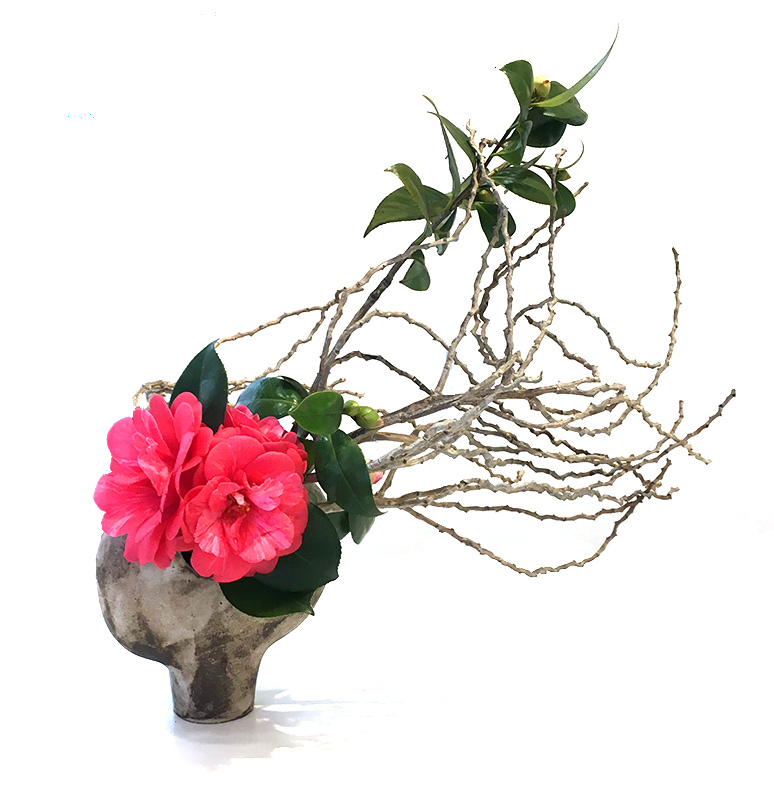 The arrangements mostly consisted of camellias grown in our own gardens but a couple of exhibitors used other seasonal materials displaying the versatility of Sogetsu ikebana. The Camellia Research Society called for exhibits (single blooms) from members of the (CRS) Association plus other like-minded growers of camellias. I have seen this several times and each year I say “I can’t believe the vast array of camellias available to grow in our gardens”. 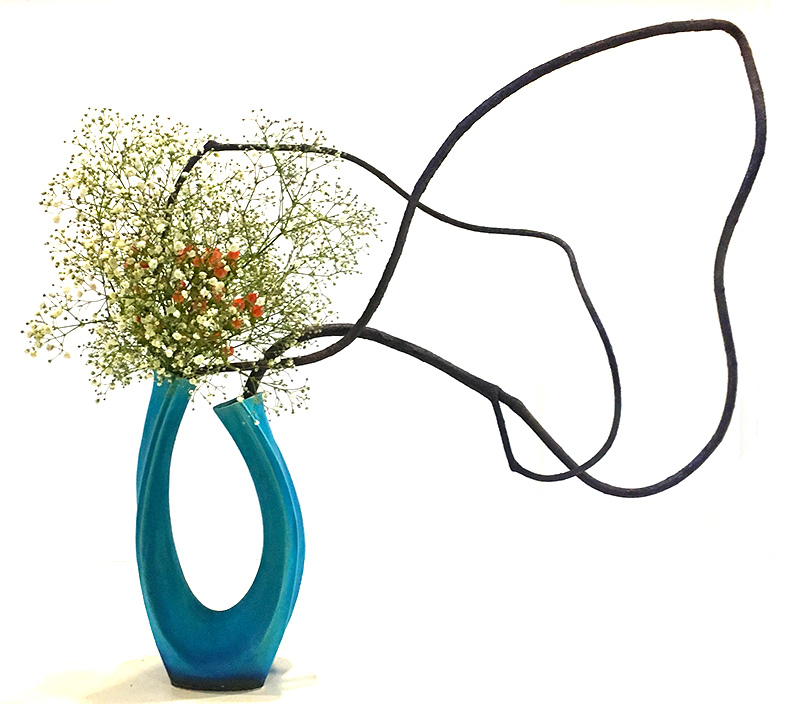 Two ASTA members exhibited blooms from their own gardens. Unfortunately, the extensive display was ‘down’ from previous years due to the unseasonal weather Sydney has been experiencing. I am delighted to say both Elizabeth Fuller and myself won awards for our camellia entries.